SAVANNAH, Ga. (Aug. 10, 2018) – David Wicks maintained a share of his first-round lead after another 18 holes at the Oglethorpe Invitational. The former Jacksonville University player followed an opening 65 with 68 at The Landings Club, only to have Mark David Johnson creep into first place alongside him. Wicks, of England, had the best round of day in the first round, but Johnson was not far behind with 66. On Friday, Johnson, of St. Simon’s Island, Ga., had a 67 that was better than any other competitor. Johnson is a senior at Coastal Georgia. In addition to the top two players, only Joseph Chun, a redshirt freshman at the University of California, has been in the 60s for both rounds. He is in solo third, three shots behind the co-leaders, while three players are tied for fourth another four shots back. Those players include Josh Hill, Greyson Porter and Levi Valdez. 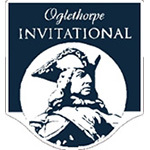 David Wicks took the first-round lead at the Oglethorpe Invitational after an opening 65 at the Landings Club. Wicks is a year removed from finishing his eligibility at Jacksonville University, where he led the Dolphins to their first-ever NCAA Championship berth. Wicks, of Bexhill, England, has a one-shot lead on Mark David Johnson, a senior at Coastal Georgia. After that, two players are tied for third at 68 – Joseph Chun and Samuel Uhland. Chun was a redshirt freshman this past season at the Unviersity of California and Uhland was a teammate of Wicks at Jacksonville University. Defending champion Caleb Proveaux is also in the field, but opened with a 72 that left him seven shots off the pace. A year ago, Proveaux got hot on the greens at Wilmington Island Club, also in Savannah, to win the title. Proveaux plays college golf at South Carolina. This 54-hole stroke play event (with 36-hole cut) has been a good mix of collegiate, mid-amateur, and senior players since its inaugural playing in 1983, which was won by three-time PGA Tour winner Gene Sauers. Entries open to amateurs with USGA handicap index of 5 or less.